Get a free can of Armor All Quicksilver Aerosol Wheel & Tire Cleaner with this mail-in rebate deal! 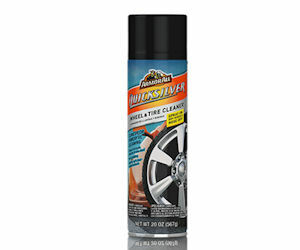 Armor All has a $5 rebate on Armor All Quicksilver Wheel and Tire Cleaner and right now, Advance Auto Parts has Armor All Quicksilver Aerosol Wheel and Tire Cleaner on sale for just $4.99 - making it free after the $5 rebate! You can order it online and select free in-store pickup or just pick it up in-stores where available. Limit 1 rebate per household. Rebate expires 10/31/17. Cross Country Cafe - K-cups and gourmet coffee pods at rock bottom prices!